Following the triumphant main stage season opener, Buddy: The Buddy Holly Story, Magnus Theatre presents a stark and unique comedic contrast with its second show of the 2013/2014 season, Machomer by WYRD Productions. Directed by Mario Crudo, Machomer is a one-man vocal extravaganza featuring over 50 impressions of the most beloved characters from TV’s The Simpsons in an uproarious performance of Shakespeare’s Macbeth. Called a one-man tour-de-force, Machomer blends together impressions, puppetry, multimedia, music, and a promise of a little bit of theatre magic to create one of the most distinctive theatrical experiences audiences may be likely to have. Jerry Getty, who appeared at Magnus last season in both A Closer Walk with Patsy Cline and Completely Hollywood, returns to take on the likes of Homer, Marge, Bart, Lisa, Principal Skinner, Groundskeeper Willie – among others – as he enacts the triumphs and tribulations of Shakespeare’s most notable anti-hero. Created by WYRD Productions, Machomer has performed to full houses and critical acclaim across Canada and the United States, and has toured through Great Britain, Australia and New Zealand. This Magnus Theatre presentation marks the first time that anyone other than original creator and writer, Rick Miller, has produced Machomer. 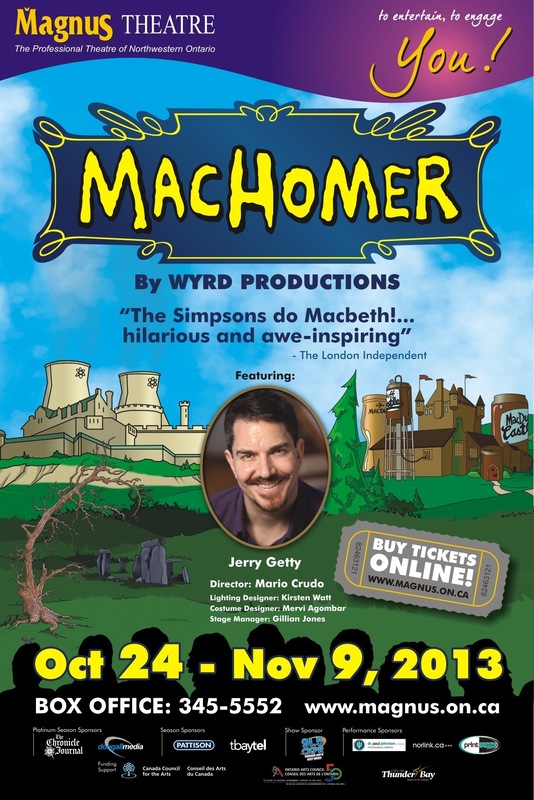 With the perfect blend of Scottish tragedy and Springfield satire, Machomer is sure to delight audiences of all ages. Machomer opens October 24 at Magnus Theatre and runs through November 9. 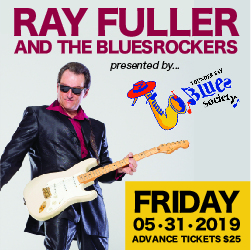 For more information, call the box office at 345-5552 or book online at magnus.on.ca. Magnus Theatre Presents Freedom 85!